IWAI Barrow organises both small-boat and cruise-in-company rallies on a regular basis. We generally link up with members from the Carrick-on-Suir, Slaney, and North-Barrow branches at some stage during each year. Many of the members have detailed (first-hand!) knowledge of where various hazards arise along the navigation. They also know the hidden gems, so be nice to them. As the branch’s activities extend onto the tidal navigation – to Waterford City & beyond to Carrick, there is a fantastic variety of places to discover, and members will be more than willing to help the new comers. IWAI Barrow organise a “Loose-the-Turkey” walk on a Sunday close after Christmas, and hold regular monthly meetings during the non-boating seasons. These are usually held in Doyle’s bar in Graignamanagh, where you can get a fine pint, some fishing lures, and a bag of onions in season! For large events – i.e. invited speakers etc., we generally meet in New Ross or Waterford. Work parties are organised from time to time to clear brush, and generally keep our beloved waterways in tip-top condition. 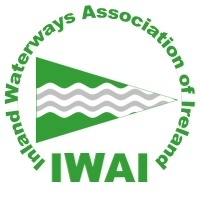 IWAI Barrow ensures close cooperation with Waterways Ireland, who are very responsive in responding to the needs of navigation users.